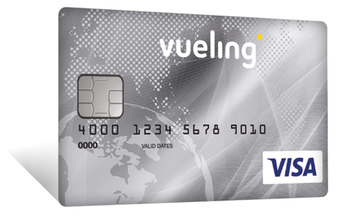 The Vueling card’s interesting enough for us to pay the €49 fee. For short haul economy hops to BCN and over to the Balearic’s would soon pay for itself. Granted we live near LGW. OT Nectar: They might be targeted bug I thought worth flagging up for those with kids. 1500 points gets a voucher for £11+ off Pizza Express. 200 points gets a 3 month subscription to kids tv app hopster. Not an error, I’ve had that PE deal in the app for a few weeks. I want to travel LON-NYC on BA. I have 40k amex points and 3k avios. I’ve not bought any points. My flights will be a shade over £1k for 2 people in economy. Can anybody suggest the cheapest way to book these flights? What dates and why specifically BA? Wanted BA as a friend can usually get us upgrades on BA (not BA/AA flights though) once we’re on the system, thought it would be a good treat especially if the return flight is overnight. You need to call BA to check Aer Lingus availability. Solid advice, thanks – I’m still feeling my way round all the points fun. Happy to save the points for hotels. Any recommended to make the most of the points? Thanks for both your comments, really appreciate the insight.It’s taken a while to get the hang of points/taxes/redemptions. Had been keen on BA, given potential for an upgrade via a friend, however will look into aer lingus. Thanks! Just looking , economy redemptions are only available 26/4 or 30/4 on the way out, bit good availability on return. And for two it’s 52k avios and £742 tax.. so you’re not getting good value at all. OT – Any recommendations for hotels in Singapore? I have status with Hilton, SPG and Marriot and Expedia credit via Nectar. We really liked the IC near Bugis (used AMB cert). Others I know like the Conrad but we found it very average. If money is not an issue, Capella on Sentosa. You can even rent a villa (normally long-term rented to expats) via a separate website if they have any spare. Great for kids as 30 seconds walk to the beach, albeit across a road. I have a stay coming up at JW Marriott courtesy travel package. Review seems to be good too. I would love to spend a week in Singapore eating at loads of different food courts. Enjoy. Not much as it is a resort. More points. That’s about it. On the subject of resorts, is there any way of knowing whether a hotel might classify itself as a resort even if it does not have the word resort in the hotel name? Interesting comment JamesB. I usually avoid Marriott hotels with the word ‘resort’ as there are no elite benefits but, if a hotel decided to call itself a resort then they could supposedly refuse your elite benefits. I suppose the only way to know is to drop them an email. Don’t think so. Venice is called a resort but for the first year of operation was not one. Then, overnight, it decided it was and out went free breakfast and upgrades.